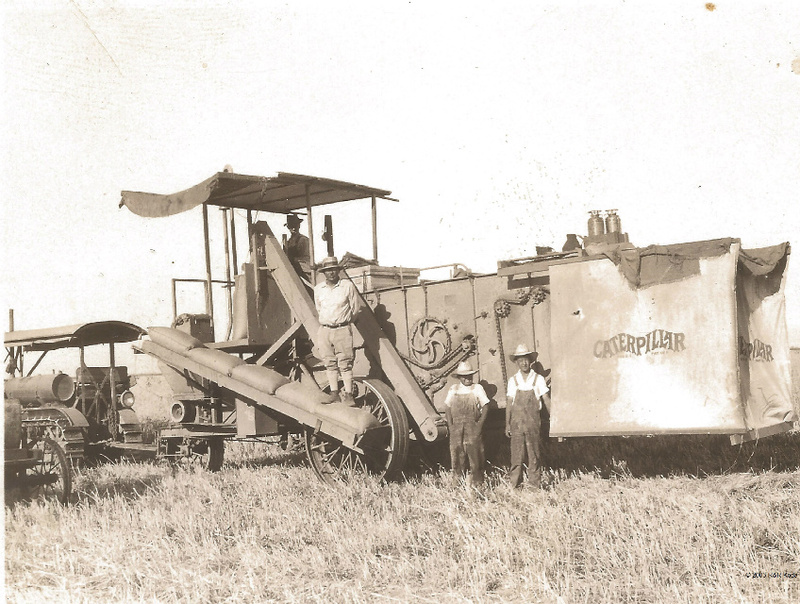 The Kodas' California rice farming operation dates back to 1928. Chefs Jessica Koslow of Sqirl and Minh Phan of Porridge & Puffs are raving about Koda Farms heirloom Kokuho Rose rice. Could this be the it ingredient of 2015? If it’s not too late to suggest a trend forecast for 2015, I’d like to nominate rice. If local wheat was the farmers’ market darling of 2014, I propose that local rice will take center stage over the next 11½ months. Los Angeles chefs Josef Centeno and Niki Nakayama have already dined at Noma Japan–as has Tokyo/New York ramen master Ivan Orkin (who Instagrammed his entire January 8 meal)–and it’s almost certain some of our other chefs, as well as restaurateurs and critics, will follow. No doubt inspiration will return home with them. The second reason that Los Angeles is ripe for a rice revolution is Robin Koda, who along with her brother Ross operates Koda Farms, one of the oldest rice farms in California. Their rice is already a staple on menus at Sqirl, Porridge & Puffs, and M Cafe; plus, the family’s novel-esque personal history has all the trappings of a New Yorker profile. Keisaburo Koda, the storied son of a samurai and the grandfather to Robin and Ross Koda, immigrated to the U.S. in 1908. Twenty years later, he sought land for a rice-farming operation in Northern California, but racism and the California Alien Land Law of 1913 drove him further and further south until he was able to purchase a plot of land in the southwest corner of Merced County. Though it was an unusual choice for rice, Koda prevailed and eventually garnered the nickname “The Rice King” amongst Japanese Americans. The following decades saw the family interned in Colorado, their farm left to wither under the supervision of strangers, and then later reclaimed and restored by Robin’s father and uncle. The family’s first hit product was the Sho-Chiku-Bai, a glutinous rice and flour that became famous under its Blue Star label. “It’s a really great product,” says chef Minh Phan, who transforms the flour into brown-butter mochi, which she serves crisped and swimming in miso caramel as a dessert course at Hollywood’s Porridge & Puffs. After the Kodas’ success with glutinous rice, they pioneered a crop dubbed Kokuho Rose, which the family introduced in 1963. Sqirl chef and owner Jessica Koslow first learned about the heirloom varietal from Marianne Wiener of Anna’s Daughters Rye Bread in Sausalito, who uses the kernels in her Danish rugbrød. At Sqirl, Koslow features the brown rice in her ever-popular porridge, sorrel rice bowl, and crispy rice. Sixty pounds a day of Kokuho Rose is cooked and served out of Sqirl’s pint-sized kitchen in Virgil Village. While the Kokuho Rose tested favorably in blind taste tests in Japan, the Japanese market has proved challenging for Koda Farms. In the 1980s, Japanese distributors and supermarket chains in the U.S. secured contracts with large growers and mills to market their own lines of rice, which according to Robin practically shut her family out of the mainstream market. “Almost every major brand has their own house brand–Nijiya, Mitsuwa, Marukai–it’s a challenge for independent producers,” she explains, adding that the larger brands have sacrificed flavor and texture for bland varieties that offer fast growth and high yield. Through the farmers’ markets, Robin has been able to connect with new customers and restaurant clients she formerly couldn’t reach due to the burden of distribution. She leaves her house at 1:30 a.m and drives three hours once a month to both the Wednesday Santa Monica and Sunday Hollywood markets where she sells her organic heirloom Kokuho rice as well as chickpeas and black-eyed peas, which she grows as cover crops. You can find her this Sunday, January 18, in Hollywood and next Wednesday, January 21, in Santa Monica. Previous articleAsk Chris: The Church Bells in My Neighborhood Are So Loud, They’re Driving Me Crazy. Aren’t They Subject to Regulation?